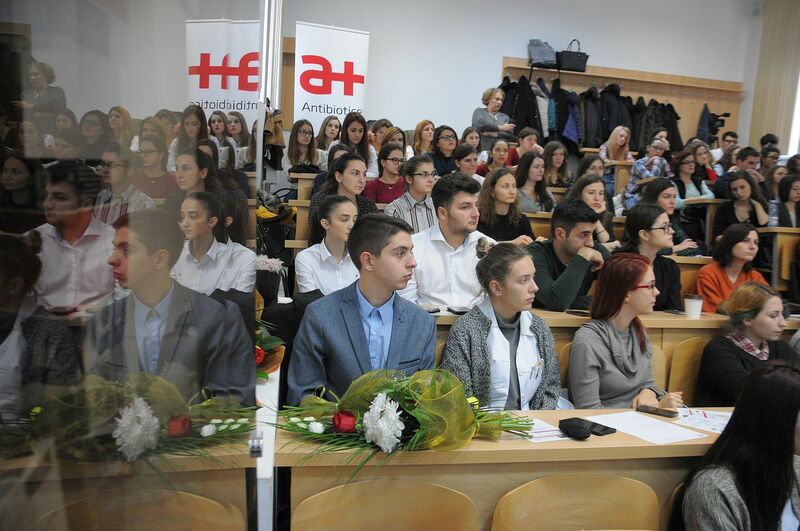 Thursday, on November 24, 2016, the Medical Students Society from the Grigore T. Popa University of Medicine and Pharmacy Iasi in partnership with Antibiotice Iași organized the workshop “Antibiotics – use them with care! Everyone is responsible” in the amphitheatre of the Sfânta Parascheva Infectious Diseases Hospital Iași. 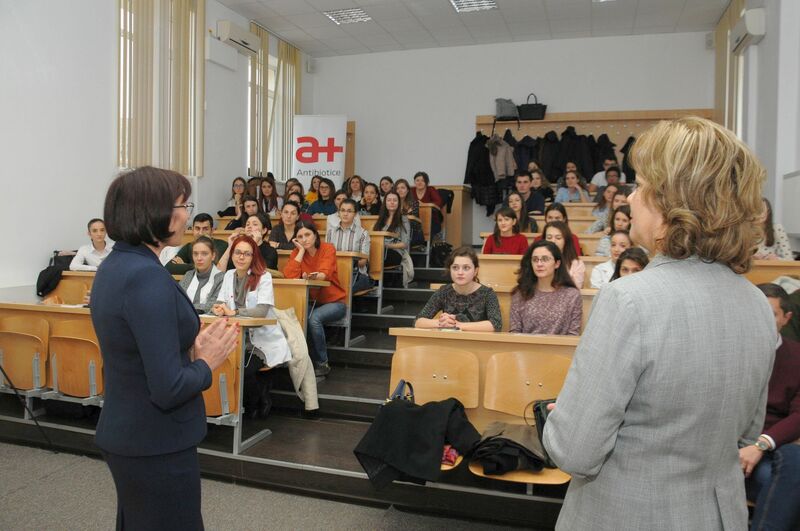 The workshop was attended by medical, pharmacy and dentistry students from Grigore T. Popa University of Medicine and Pharmacy, the event being chaired by Prof. Lenuța Profire, MD, Ph.D, Dean of the Faculty of Pharmacy, Grigore T. Popa University of Medicine and Pharmacy. “This year too we answered to the initiative of the students societies involving us in this information project. For our company this is truly a mission of social responsibility to promote a rational use of antibiotics for preserving the effectiveness of this precious therapeutic resource in the long term. Antibiotics save million of lives and there are fields of medicine which would not be able to carry on their activity without antibiotics” said Mihaela Moșneguțu. A design contest “Antibiotics save lives! Use them with responsibility ” was launched within this Workshop. 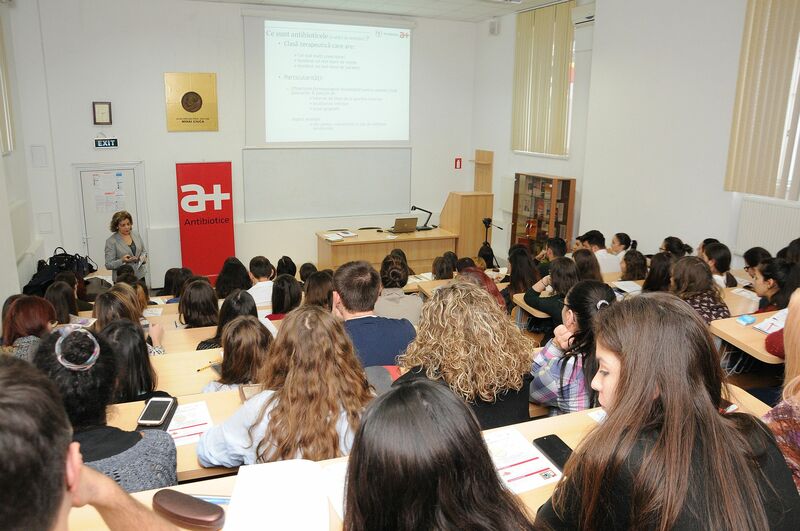 While observing the regulation of the contest, the students were invited to express their creativity by making an integrated communication campaign whose creative message must promote the rational use of antibiotics. “I want to thank Antibiotice for supporting the student societies in successfully implementing this project. I think that prevention is the right solution in the antibiotic resistance issue and depends on us, as future specialists to be properly informed. We are pleased that, in addition to the useful information received during the workshop, the contest aroused the interest of my colleagues who are interested to put their creativity to the test” said Eliza Froicu, IV year student at the Faculty of Medicine. Candidates can register in the contest with a project in the period November 25, 2016 – January 31, 2017. The deadline for entries is January 31, 2017, hours 24:00.